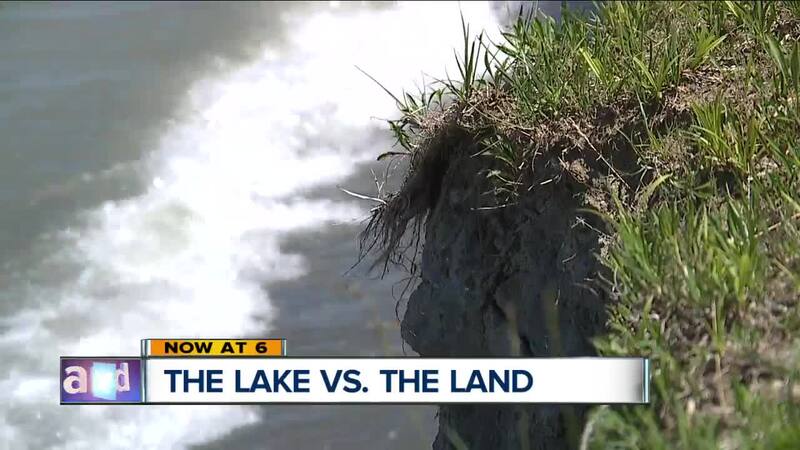 In the ever-present battle between land and the lake, it appears Lake Erie is winning. Fueled by growing concern about erosion up and down Ohio's north coast, officials are meeting to discuss both short and long-term solutions. Wednesday's meeting will feature state representatives, officials from the Ohio Department of Natural Resources and the U.S. Army Corps of Engineers. Officials involved with the meeting warn that there is no simple solution and no quick fix to the erosion problem on Lake Erie. In recent years, the concerns about eroding properties and lakeside city parks have only intensified. Some property owners have lamented the perceived inaction taken by state and federal officials. However, for some coastal communities erosion is part of the reality of living near a large body of water. For two years, a large part of one of the city’s greatest public assets, Overlook Beach Park, was closed because of erosion concerns. A long, sprawling staircase leading from the park down to the beach was permanently closed after the beach had, in essence, washed away. Constant pounding from waves, especially during storms, continue to chip away at the shoreline, eating away like Pac-Man at the pristine, valuable land above. Last year, Mentor-On-The-Lake received the results of a study done on possible solutions at Overlook Park. The results were sobering. So the beach access at Overlook Beach Park remains closed, which causes nearby homeowners like John Mate dismay. Mate has lived the majority of his life at a home across from Overlook Beach Park. In fact, his father was part of a consortium of now-defunct park association members that donated the land to the city many decades ago. The park is beyond special for Mate. “If this all keeps eroding away and goes away and nothing is done to protect it and even make it better, if that goes away then where do you walk to?” Mate said. Temporary erosion control measures can cost upwards of $1000 per linear foot but they are just that: temporary. Eventually, water will do what it does best: go above, underneath or around something. Mate, who splits his time in southern Florida, envisions a break wall jetting out into the lake to help thwart large waves from crashing ashore. Whatever can be done to save places like Overlook Beach should be done, Mate says. If not, future generations might not have anything to come to. And the park his father helped create might cease to exist. “If he could see down on us, he’d real proud of what he did and what the others did. He’s happy,” Mate said.